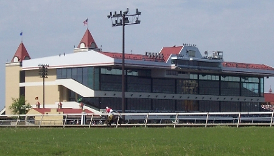 Little Six Casino, owned and operated by the Shakopee Mdewakanton Sioux Community, is located in Prior Lake, Minnesota. Given its proximity to the Twin Cities area, less than 30-miles and 30-minutes away, it attracts countless players throughout the year. 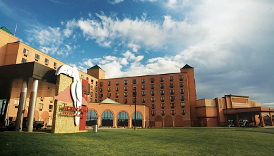 The gaming options at Little Six Casino include more than 800 slot machines as well as several different blackjack tables with a variety of limits to fit every budget. With its very own restaurant, the Little Six Restaurant, players can grab a quick bite to eat without having to venture too far away from the action on the gaming floor. Our favorite thing about Little Six Casino is that it has its very own players club, which features numerous rewards and promotions that are available to players of all levels. If you’re interested in learning more about Little Six Casino, we invite you to continue reading through our complete guide below to see what else they have to offer. 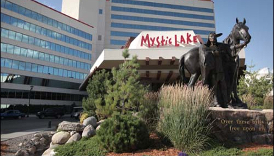 Join Club Mystic, Little Six Casino’s players club, to be eligible to receive coupons, discounts, and special offers.